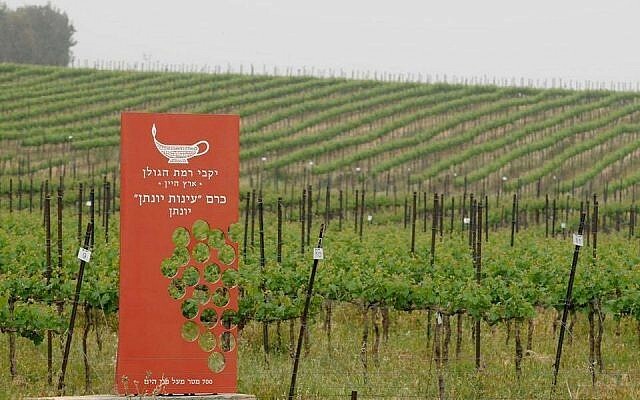 After planting vineyards in the Golan in 1976, the Golan Heights Winery was established in 1983 by four kibbutzim (collective communities) and four moshavim (cooperative communities). In 1984, the Winery released its first wine creating great excitement in Israel and abroad. Golan Heights Winery cultivates over 600 hectares (1500 acres) of vines across 28 vineyards which are divided into 430 vineyard blocks. Each block is harvested individually and fermented separately, to show the extreme care that goes into each wine made by Victor Schoenfeld, Head Winemaker since 1992. Golan Heights Winery is made up of four brands; Mount Hermon, Gilgal, Golan, and most famously, Yarden. Each brand is a unique study of Israeli terroir and distinctive winemaking philosophy. Combining state-of-the-art winegrowing technologies and traditional winemaking techniques, Golan Heights Winery has succeeded in producing award-winning wines that have firmly placed Israel on the international wine map. Yarden is the premier label and flagship brand of Golan Heights Winery. Each year the finest grapes from the best vineyards are reserved for Yarden wines. Yarden is the Hebrew for Jordan River, which bisects the Golan Heights from the Galilee. The label features a symbol of ancient Israel: an oil lamp decorated with mosaic tile.